​​​​ Lone Mesa hunting permits are issued by annual drawing held in July of each year. After the drawing ​all successful hunters will be notified. Unsuccessful hunters are put on a waiting list in the order of their draw number. When cancellations occur, the next hunter on the list will be notified to see if they are interested in the hunt. Please read this Information Letter for prospective hunters. Download the 2019 Hunting Application. Thursday July 11th, 2019 - Applications​​ are due by 5:00 pm. Friday July 12th, 2019 - Permit drawing starts at 5:30 pm at the Dolores Public Library, 1002 Railroad Ave Dolores. Successful hunters will need to pay the permit fee no later than 30 days prior to the first day of the hunt (see table below). For details on hunt fees refer to section b.5 in the ​hunter protocol. For more information please call our Dolores office at 970-882-2213. ​To help plan your Lone Mesa hunt, call a CPW Hunt Planner at 303-291-PLAN (7526). Orientation location will be posted shortly. To help assess the hunting opportunity, you may view the drawing success and harvest statistics for the 2​005, 2006, 2007, 2008, 2009, 2010, 2011, 2012, 2013, 2014 hunting seasons. You can also check out a park map. Again this year, hunters may purchase their over-the-counter hunting licenses at Lone Mesa's office in Dolores. Call the office for more information, 970-882-2213. 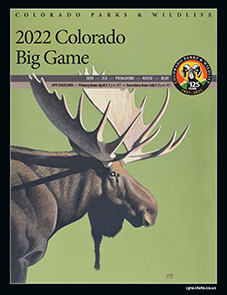 Visit the big game hunting page for ​​additional​ season information, regulations, and other great hunting info, or to apply for the Colorado Parks and Wildlife limited license drawing.